One user in particular voiced their confusion as to how said streamers can wager thousands of pounds and seem unaffected by any loss they make. It does seem odd to those who are unaware as to how the system works, but there have been cases of fraud in the past which gives ground to this criticism. We’re here today to clear the air and see whether online gambling streamers are mostly legit or mostly fake. Of course 99% of Casino stramers are fake! Fake money, Fake emotions, fake histories! Casino Streamers – Who they are? In this digital age, live streaming has become more and more popular especially in the last couple of years. News outlets, social media and entire websites have caught onto this trend and use it to interact with their user base. But you don’t have to be famous to sit in front of a camera and go live for a couple of hours. You don’t even have to do much, either. You can paint a picture, play videos games…. You can even do some online gambling! Many people have seen this niche in the market and now regularly stream their online gambling sessions on websites like Twitch and YouTube. There are already a lot of top streamers like omgcezwho, miikapekka, casinodaddy and roshtein, who have a regular schedule of live streams that hundreds of people tune into. All on the possibility of making massive win. Why Do People Watch Casino Streams? And, as another online player brilliantly put it, it’s no fun watching a rich man lose at gambling. Part of the appeal is to watch the underdog get his big break, to see the man down on his luck strike great fortune. When he fails, we feel his failure, but when he succeeds, we’re so happy for him and it’s overwhelming. There’s kind of cathartic narrative to these things. You wouldn’t want to read a book where the hero succeeds at everything, would you? So if most of these streamers are “underdogs”, where do they get their money from? It would be massively dull if they bet only 2p every time they played roulette. Therefore, they tend to bet “exciting” amounts of money, sometimes thousands of pounds which they never even get to keep. But as the user we mentioned realised, it’s hard to see where they get that money from and, if they do have that money, is it real or fake? The answer is complicated. 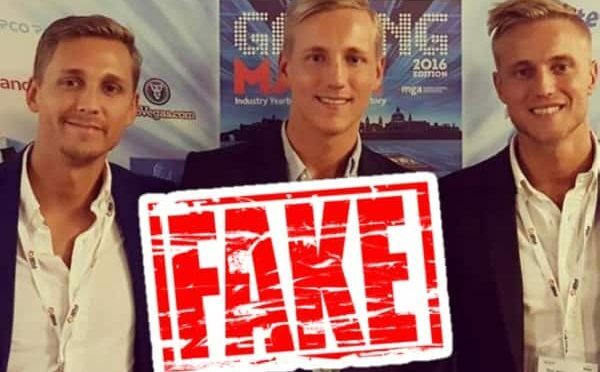 There have been users who have been called out for using “fake” money and not being honest about it with their audience. There are plenty, however, who do use real money, usually given to them through a sponsorship from an online casino. For promotional purposes, they tend to endorse online gambling streamers by giving them money to bet with on their games. However, the streamer usually mentions this during the course of the live stream. Of course, a streamer could simply be filthy stinking rich and the loss of five grand means nothing to him. But they may not mention this in fear or alienating their audience which is why we assume streamers who use “fake money” do the same thing. It wouldn’t be anywhere near as exciting if it wasn’t real money at stake. Honestly, if you think an online gambling streamer is being dishonest, then you should call them out on it but maybe not publicly. Message them in private and give them the chance to own up first. You cannot report them if you don’t have proof. Some of these streamers, after all, rely on streaming as a source of income. By telling their audience they have been deceiving them with no evidence is going to ruin that for them. And you should allow the streamer confess their dishonesty to their audience themselves first rather than telling someone straight away. But then, if it keeps the fantasy intact and it doesn’t hurt anyone, why not just let them carry on?